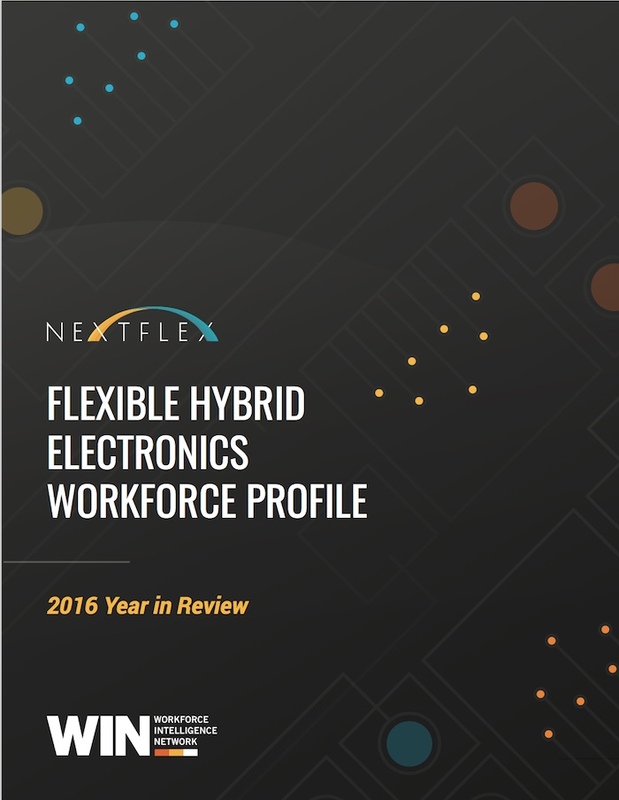 Flexible hybrid electronics (FHE) will pioneer a new era in the creation and implementation of electronic devices. Consumers will receive greater utility from electronics such as flexible smart phones that expand into tablets, or wearable devices that directly interact with the human body. Flexible displays will transform car interiors currently constrained by the rigidity of glass, and will bring greater cost-effectiveness and efficiency in the medical field with lighter devices, enabling doctors to make faster, more reliable diagnoses. Without a skilled workforce, however, the exciting potential of United States manufacturing in FHE may never materialize. 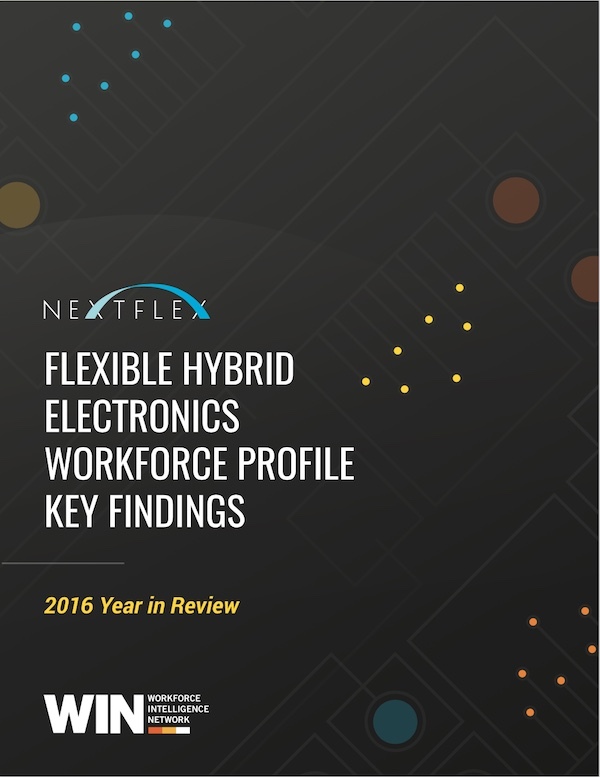 From engineers to production technicians, R&D scientists to software developers, flexible electronics-related jobs are found in a variety of sectors. As FHE-related work ramps up across the nation, understanding employer demand, workforce needs, and skill gaps is critical to the development of sustainable talent pipelines and relevant educational programming. There is also a need to diversify the FHE-related workforce to meet the needs of employers as the technology matures and production processes evolve. Currently, only 22 percent of the workers related to FHE are female, which indicates the need to engage young women in STEM activities and career pathways. The impending talent brain drain in many occupations related to FHE is another area of concern across the nation. Over half (52 percent) of the current FHE-related workforce is 45 or older and 25 percent are 55 or older. “Learn and earn” internships, apprenticeships, and other mentorship programs will become a crucial part of the knowledge transfer as workers begin to retire from FHE-related occupations.